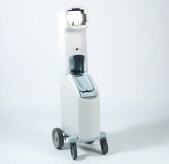 One of the country’s leading hospital housekeeping management companies, was developing a new version of its industry-leading remote vacuum cleaning system. The company had always worked with sheet metal in the past, but when we introduced them to the capabilities of thermoforming, they quickly fell in love with the process. 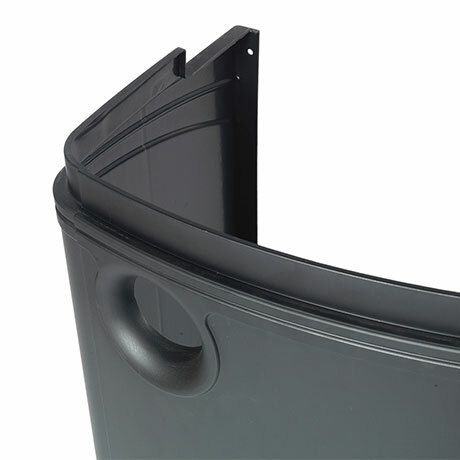 We worked with their industrial designer to develop a highly cosmetic, thermoformed enclosure that melds seamlessly with existing injection-molded, blow-molded and sheet-metal parts. 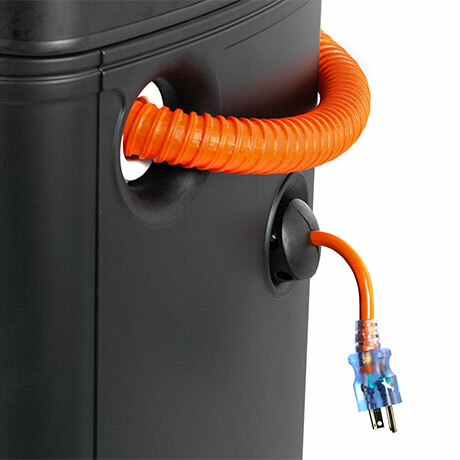 The cart’s Large Hose and Cord Housing is pressure formed using a machined aluminum, temperature-controlled mold. 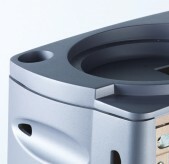 Both side walls of the cavity contain undercuts and are cylinder-driven to allow molded side wall features as well as perimeter undercuts to enable the part to release from the tool. 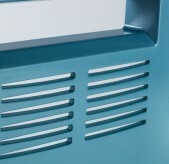 The sharp details on front surfaces allowed for a molded-in product name and a hose and cord port. Starting with .250” Low Gloss ABS allowed for a rigid part and a nice surface finish to match with existing plastic parts. With the advanced tooling, state-of-the-art machinery and 6-axis robotic trim centers, we were able to mate our parts with the others precisely as they were designed to. 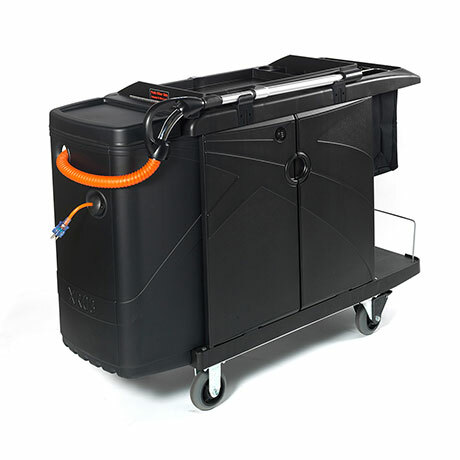 In the completed product, the XRO-3 vacuum cart’s insulated and quiet, 50-decibel vacuum draws dust and dirt particles from the hospital room and deposits them into the ULPA-filtered bag. The ULPA filter system retains 99.9995% of particles 0.12 microns or larger, which is 1/100th the diameter of a human hair.